All SERENE AND SCENIC HILLS E homes currently listed for sale in San Antonio as of 04/25/2019 are shown below. You can change the search criteria at any time by pressing the 'Change Search' button below. "Location, Location, Location! 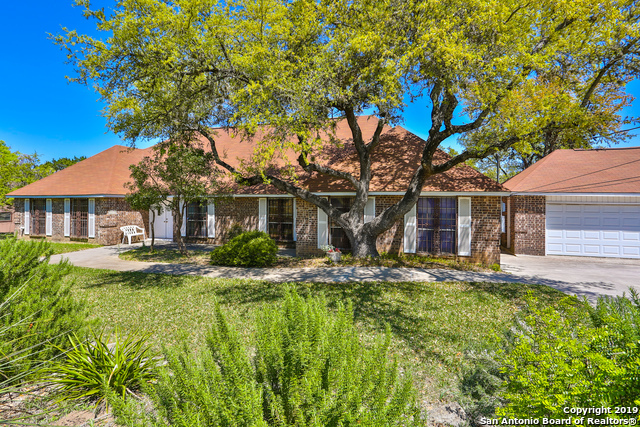 Over 3,000 sq ft single story home on a beautiful Hill Country lot with mature trees and views. This large 3 bed 3 bath home features a huge master bedroom and family room, nice covered patio and an over-sized detached garage with plenty of room for a workshop. Ideal location just minutes to San Antonio and Boerne. Come experience true Hill Country living with all the benefits of city life. Northside schools and no city taxes!"